This recipe comes to you a week late. I was all ready to put this up last week, except that the blog ran slap into a brick wall in the form of all the recipes disappearing. The posts were still here, but the recipes were gone. Not to mention I had a horrifying cold to the point where I basically only went from bed to couch and back for five whole days. It was not a good time. I’m very grateful for friends with the skill to fix random tech issues; and also for automated backups! Now for a lovely dessert (breakfast topping? snack? I don’t judge), in case you too have had a stressful week. This 3-ingredient recipe could not be easier! 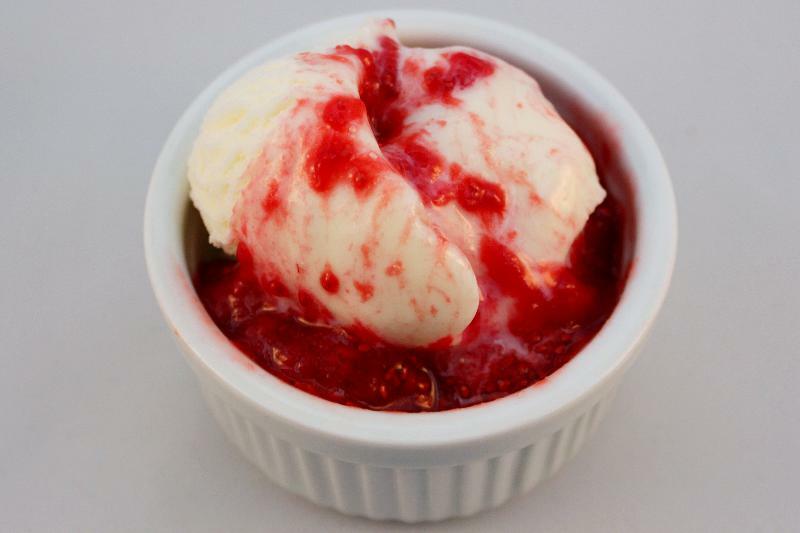 I used strawberries and raspberries, but you can use any combination of berries that you like. I do recommend that you halve the berries to get the juice started, but you could even skip that bit–just mash them up a bit with a fork. They cook quite quickly, and then all you need to do is add chia seeds for texture and honey for sweetness. I used white chia seeds because that’s what was at the store, but white or black seeds are fine. They didn’t bother me because it’s almost like adding additional strawberry seeds; but if you don’t care for them, you can blend up the compote when you’re done and they should disappear. Honey is an unrefined sugar in honor of our healthier choices this early 2018! 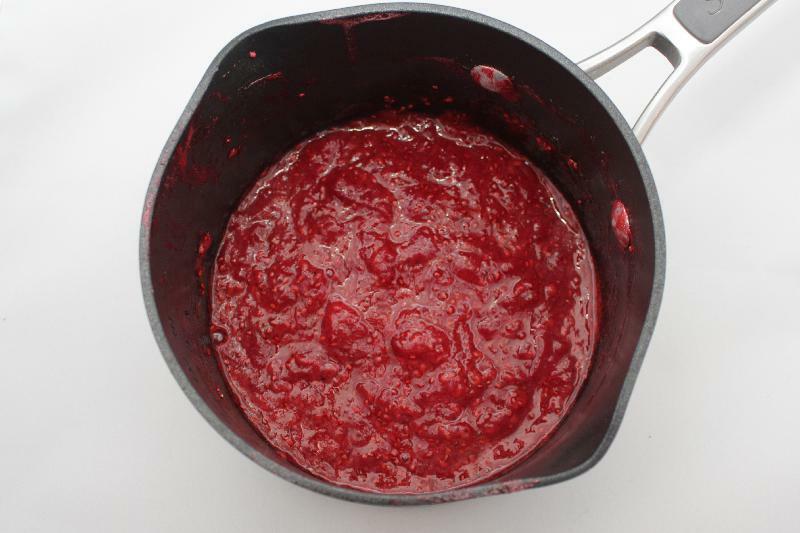 Because we used chia seeds, we no longer need a ton of white sugar to thicken the compote. You may not even need any, depending on how sweet your berries are. I’m pretty sure that in the height of berry-season summer, this would be even more delicious. Or! I think this would work with pretty much any juicy fruit. Peach compote? Mmmm. You can also use frozen fruit! I prepped the photographed berries but then didn’t have time to cook them on the planned day, so I threw them in the freezer. I let them thaw in a pot on the stove for a bit before I cooked them and they came out great. Recipe adapted from this Chia Seed Jam at Gimme Some Oven. 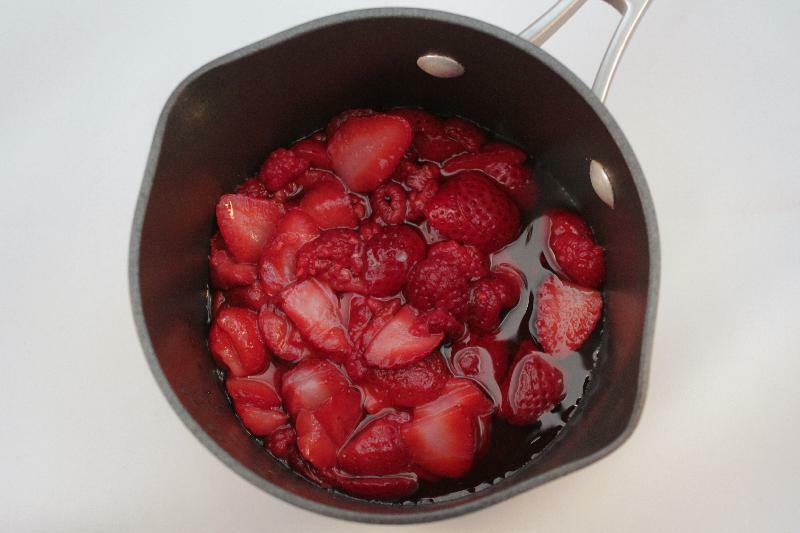 In a small saucepan, cook berries over medium heat. Allow to cook for about 5 minutes. If desired, smush up the berries a bit more with a fork. Stir in 1 teaspoon chia seeds and allow to cool for 5 minutes. Check the consistency; if desired, stir in another teaspoon of chia seeds. Add honey 1 teaspoon at a time, to taste. Enjoy over toast, yogurt, ice cream, or by itself!